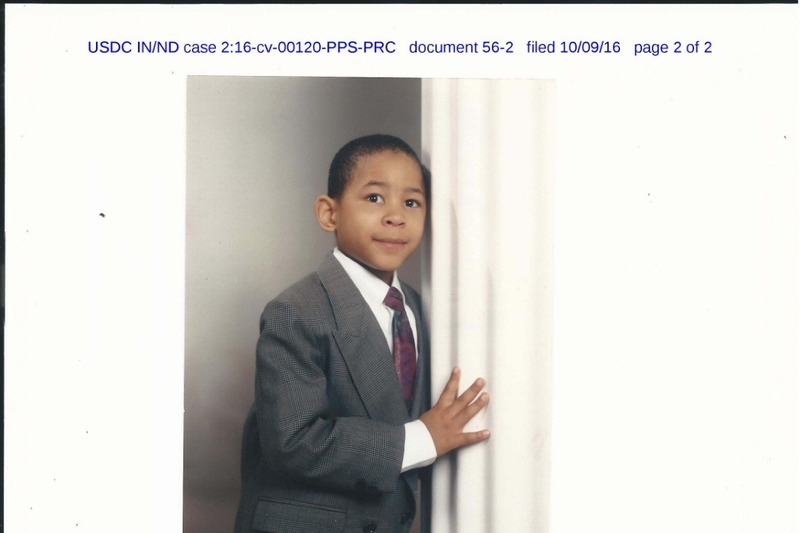 In 2001, Eric Davis, who is autistic, was taken from his parents by the Alabama Department of Human Resources, child protective services, through a county court in the State of Alabama without legal due process or an evidentiary hearing. Eric was, then, ten (10) years old. Eric was born and partially raised in Indianapolis, Indiana by his parents who were then residents of the State of Indiana. Eric’s parents, John and Shelia, are professionals – [his] father is a lawyer and [his] mother is a software engineer. After an amicable divorce, Shelia accepted a temporary contract position with Lockheed Martin Corporation working on the International Space Station in Huntsville, Alabama and took Eric with her. John remained in the State of Indiana working as a Deputy Prosecuting Attorney. After having an autistic outburst, Eric was taken to Huntsville Hospital by Shelia where she remained, with Eric, for over nine (9) hours to have child admitted into Children’s Hospital for tests. The Alabama Department of Human Resources, shortly thereafter, filed a petition accusing the mother of abandonment. Clocking over eighteen thousand (18,000) miles in one year – in 2002, John traveled, back and forth from the State of Indiana to the State of Alabama, seeking release of his son, Eric, to both parents where John was denied Eric’s release without the Alabama court ever scheduling or conducting an evidentiary hearing on the illegal hold of Eric, which has continued for over seventeen (17) years – even after Shelia, Eric’s mother, returned – in 2006, to Indiana making her legal residence in the State of Indiana which has now been over twelve (12) years. Our goal, as parents of Eric, is to raise $25, 000.00 which will be used for ongoing legal expenses, and a breakdown of the use of funds will be provided monthly. Any remaining funds will go to the successful transfer of Eric to the State of Indiana or Eric’s needs relating to reunification issues. The father, as an attorney, has been pursuing this matter in the federal courts in the State of Indiana. This legal pursuit has interfered with the parents’ ability to properly pursue their own occupations and continues to emotionally and financially drain the limited resources of the parents. Funding is needed immediately. Eric is still being illegally held by the State of Alabama and has been transferred to a residential facility for adults with autism in the State of Alabama. Parents believe that the motivation, for such continued illegal hold of Eric, is triggered by the fact that the Alabama agency and Alabama court has received, and continues to receive, albeit improperly, funds from Medicaid, Social Security Income (SSI), and federal and state funds for the provision of individuals, including those with disabilities, held by the agencies and courts in the State of Alabama. The parents, through the legal activities of the father, have assembled documents, supporting the illegal hold of Eric and the illegal receipt of funds for individuals, such as Eric and other handicapped children and adults, who have been made illegally wards of the State of Alabama. These illegal holds have been labeled by some, as children who are held as “cash cows”. This is similar to the illegal hold and separation of children from their parents in the current immigration problem. Funding is needed to continue the fight to have Eric reunited with parents in the State of Indiana. In summary, Eric was kidnapped by the State of Alabama via two (2) family court Judges – who permitted, and participated with, officials of Alabama state agencies, and who were motivated by the receipt of funds, from Social Security Medicaid, to their [judges’ and Alabama state officials’] non-profit organizations [by] using petitions filed, to take children from their parents which is sometimes referred to as “cash cows”. Since, issues in this case are similar to issues in the immigration cases where children are taken from their parents, this Office will contact American Civil Liberties Union (ACLU) attorneys who are working on border immigration cases, to share any useful information and issues learned in our case regarding reuniting children with their parents, in that, many of the legal issues in this case are similar to issues in the immigration cases (e.g. parents illegally separated from their children without due process). The thrust of this case is the principle of the rights of parents to maintain custody of their children. We see it in the national separation of children from their parents who have crossed the border, and we also see it in numerous cases involving American children, in various states, who are being separated by illegal actions of child protective services and family courts, around the country – separated from parents who also have been denied evidentiary hearings, and where there are no findings to support the illegal separation of parents from [their] children as referred to by the late Georgia State Senator Nancy Schaefer in her Senatorial Report, “The Corrupt Business of Child Protective Services”. Donations for this cause are greatly appreciated. Thank you for any assistance given and thank you for reading our story. Note: It is believed the judges and the Alabama state officials, who are defendants named in the Complaint, have apparently extended their efforts to thwart the success of the parents having their son returned to the parents in the State of Indiana. It is also believed these apparent extended efforts by said defendants have included their, judges’ and Alabama state officials’, apparent ability to effect the legal efforts of Eric’s father – an attorney at law, by affecting his practice in the Seventh Circuit Court of Appeals, which has now extended the issues, being fought by Attorney John H. Davis – father of Eric, to fight additional issues against unfounded allegations not supported by the court record. See Seventh Circuit case number 17-1732. Dear Donors, we the parents of Eric just activated our campaign on September 1, 2018. Thank for reading our story.